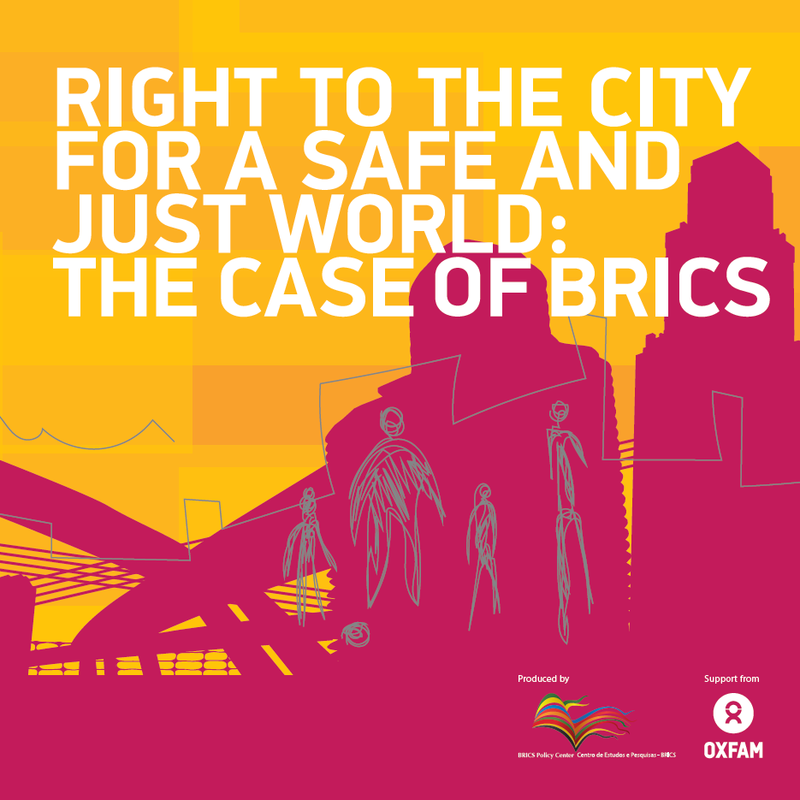 In Veloso et al., Right To the City For a Safe and Just World: The BRICS Case, Rio de Janeiro, 2015, Brics Policy Center/Oxfam, 161p. The chapter is available both in portuguese and english in Ebook format here and in portuguese for hard copy. In February 2012, as part of the GROW campaign, Oxfam published the discussion paper « A Safe and Just Space for Humanity ». It sought to present a possible way for a new model of prosperity, able to provide development fairly and securely through the reduction of inequalities and respect for planetary boundaries. In an increasingly urban world, it is imperative that any model of sustainable development is planned and implemented in scope and scale of the city. There is no sustainable development without urban development. That is why the BRICS Policy Center, under the BRICS-Urbe and in partnership with Oxfam, has organized this publication. Its aim is to articulate the notion of the right to the city with the Oxfam model for a just and safe humanity. Over six chapters, the reader will find theoretical and empirical information about the right to the city as a key concept for the design of public and private urban policies able to make our world a more safe and just space. Highlight: Tommaso Vitale et Alvaro Artigas Pereira remportent l’appel à projet de NUS-USPC Alliance !